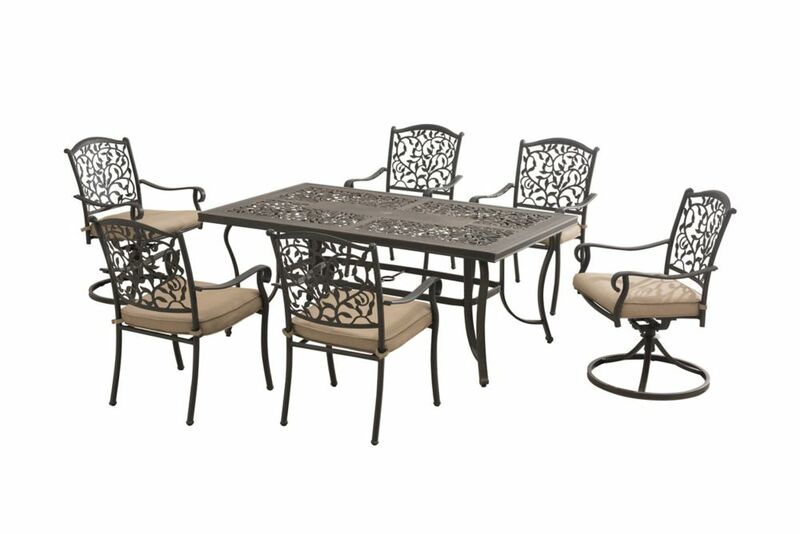 If you are looking to get more out of your backyard, patio, or pool area consider adding this lovely 7-piece dining set to breathe new life and functionality into it. This stylish dining set features a large rectangular table with an intricate leaf pattern. Louise 7-Piece Patio Dining Set with Round Table If you are looking to get more out of your backyard, patio, or pool area consider adding this lovely 7-piece dining set to breathe new life and functionality into it. This stylish dining set features a large rectangular table with an intricate leaf pattern.